Among the nominations for this year's Academy Awards you'll find Andrew Garfield's first Oscar nomination. 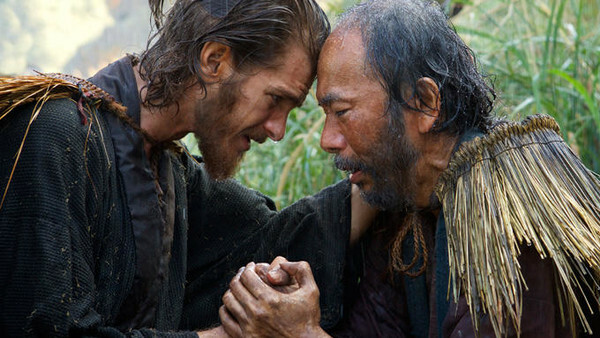 To the surprise of many, however it's not for his work in Martin Scorsese's historical drama Silence. Garfield was instead recognised by the academy for his role in Mel Gibson's Hacksaw Ridge. In fact, Silence as a whole was all but shut out of the Academy Award nominations entirely, earning just one nomination for cinematography. "Of course. But only in the sense that I think it is a masterpiece. I want to work to be recognized but it is what it is. The good news is that I think it is one of those films that will last the test of time, It is one of those films that will wheedle into the consciousness of people and will change people in a deep way, unlike maybe films that get recognized immediately but are less impactful in the long run. I mean, it’s Martin Scorsese! He knows who he is and no one can take that away from him." Garfield was, of course, controversially left out of the nominations himself for his performance in The Social Network back in 2010. The honour of best supporting actor that year instead went to Christian Bale for his performance in The Fighter, with John Hawkes, Jeremy Renner, Mark Ruffalo and Geoffrey Rush among the other nominees. Joe Hart hasn&apos;t written a bio just yet, but if they had... it would appear here.